Our law firm's offices are located in the Highland Bank Building, in Bloomington, MN and our office address is Suite 410, Highland Bank Building, 5270 West 84th Street, Minneapolis, Minnesota 55437. 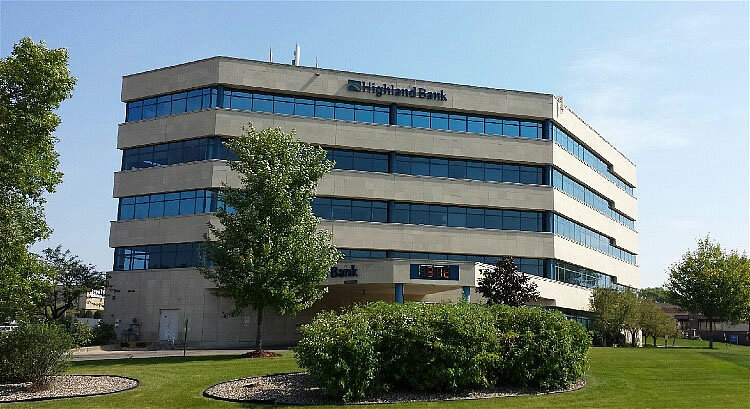 The Highland Bank Building is located just east of the intersection of Normandale Boulevard and 84th Street, with easy access to and from Interstate 494 at the junction of Highway 100 and Normandale Boulevard. There is ample free parking in the parking lot adjacent to our building which also serves Poor Richards Commonhouse Restaurant. Our office has very easy access to and from major freeways for convenient travel to and from our location. Direct dial access is available to both John R. Shoemaker (952.224.4610) and Paul F. Shoemaker (952.224.4605). Our facsimile transmission number is 952.224.4601.